Enter “Parenting in a Digital World”, a resource from TELUS WISE (wise.telus.com) that covers all the bases. From tips for using a smartphone safely to helping tweens and teens protect their digital footprint, the website includes reports and research to keep parents in the know. 1. Keep it in the open. Don’t put computers in children’s bedrooms. It’s very difficult to monitor the websites your children surf if you can’t see them. Instead keep computers in common areas and turn off Wi-Fi if they take tablets or laptops into their rooms. Plus, studies show that computer and TV screens in bedrooms can interfere with children’s (and adults’) ability to sleep. The Canadian Pediatric Society recommends no more than two hours a day of recreational screen use for children six to 12 (this includes all square media). Screen time is time spent being inactive or socially isolated or both. Talk to your children about what they look at online so you are part of their Internet experience. Take an interest in what interests them. Make sure they feel comfortable coming to you if they see something they have questions about. A recent MediaSmarts survey found that 65 per cent of students have helped someone who was being bullied online. 4. Explain about personal info. Ensure your children do not provide any personal information to anyone online or a website, including name, address, school name, age, birth date without your permission. A recent study found that many kid-friendly apps and websites in 21 countries, including Canada, compromised children’s security by disclosing personal information to third parties. Decide when and where cell phones can be used according to the law (not while driving), common sense (not while walking) and your personal code (not while visiting with people or at the dinner table, for example). Remind your children to not say anything to anyone online that they wouldn’t want you to hear, and how their words can be hurtful. 7. Words hurt, part two. Just as you counsel your children to try to rise above teasing in the playground, the same goes for online bullying. Tell your children that sometimes people say things without realizing they’re hurting people’s feelings. Tell them not to believe what they read. A recent study from MediaSmarts found that 55 percent of students who were mean or cruel online said they were “just joking around”. Looking to learn more about Internet and smartphone safety and security? 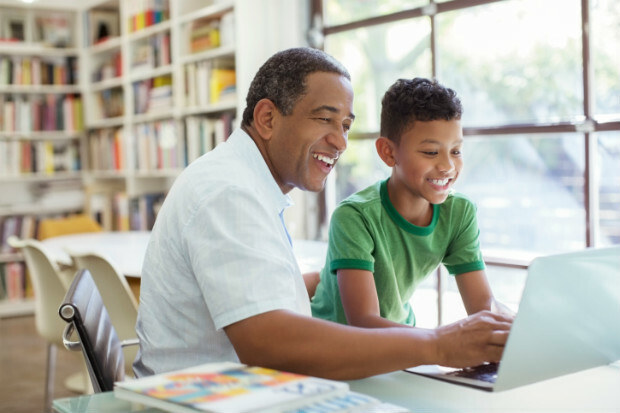 TELUS WISE Ambassadors can host in-person sessions for your parent, community or seniors group to discuss Internet and smartphone safety and security. TELUS also hosts TELUS WISE footprint (ages 7 to 14) and TELUS WISE in control sessions (high school and post-secondary) for schools and kids' sports teams. If you are interested in booking a session or learning more please contact TELUS WISE. All elements of TELUS WISE, including sessions, are free-of-charge and available to all Canadians.